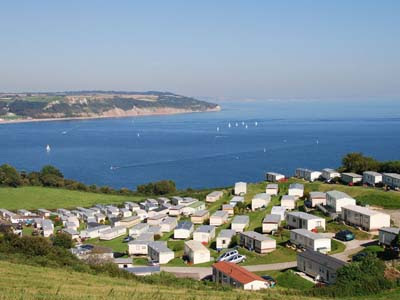 Bourne Leisure, the operator of Haven holiday parks and Butlins, has paid out more than £40 million in dividends last year as Britain’s ‘staycation’ trend boosted profits. Bourne Leisure reported pre-tax profits of £88 million, up by 61%, with turnover 6.3% higher at £791.6 million in 2009. Centre Parcs had a record level of occupancy in 2009 too, generating increased revenues. The horror word STAYCATION was making business news as well as holiday reports from bandwagon jumping columnists. Last year £27 million was the estimated boost to the Uk tourist industry. He has reason to be happy. Haven was seeing a 40% increase in bookings in 2008. The poor rate of the pound to the Euro and Dollar seems to have led to many people taking their second, or even main holiday in the UK. The great summer weather up to early August, can only have helped. All the more wonder why Blacks Outdoors, who own the Blacks and Milletts chains have been doing so badly. Like for likes, after the closure of over 100 stores in 2009, was 'disappointing'. Someone must be taking their business.Wonder if it might be Go Outdoors. One to watch for the future..
BQ almost, almost, booked a UK holiday this year and left it too late to book before deciding to go with the guaranteed weather of southern France. But without exception, on a non scientific poll of the office, on a huge sample of 20, everyone else had a UK holiday, mostly camping. I wonder if any other readers had UK holidays and noticed the increased numbers of Brits filling up your usual UK destinations? Yes. Middle class Brits mainly. Many Germans and Russians too. Some more anecdotal evidence for my mid 20's peers quite a few stay-cations. I can only think of two single chaps and one couple who've taken a trip abroad and the couple were honeymooning. Being quite big into my hiking & climbing I would never buy anything from Millets or Blacks. Alpkit or a quick google will turn up better kit cheaper. If I absolutely have to try something on, Snow & Rock, Ellis Brigham or Cotswoldsoutdoors all sell good stuff, albeit expensive vs online. gooutdoors have really taken the market round here - they have very agressive postal marketing to cardholders. And if you shop there you pretty much have to have a card. Coupled with some stunning loss leaders they really get people through the doors. Haven have one of the best internet marketing setups around, really pushing sales through affiliates. Very impressive. An old colleague of mine left Bourne Leisure as FD and joined First Quench as CEO. I had my summer holidays last year in a blissful house on the River Dart. Just wonderful! I'm just back from this year's hols in Nice and am now suffering from the sort of cold you get from flying budget airlines. This PR fluff by Bourne is all about capital raising for the next round of consolidation in the industry. Bourne is a monster and #2,#3 and #4 in the industry are all owned by PE co's looking for an exit. Went to Italy. Not a Brit in sight. Loads from Belgium though. If you hadn't been to Belgium, you'd think it was a big country. EK: I hope you were suitably 'shameless' with your new found neighbours. Mrs q was asked to go along camping by at least three of her friends this summer. The photo is of Beer caravan park, where we went to see some friends for the day. Great, actually really great, steam train, mini train ride and park nearby. Mrs Q won't go camping. Doesn't like to be more than 20 feet from a hairdryer. S.James. Seems reasonable. Outdoor isn't my thing but I worked for a company that made exactly the same mistakes in the fashions as Blacks. Chasing the youth market, to the detriment of the core. Marchamont. yep, clever Go Outdoors. The card/discount/ loss leader method is how Matalan began. Still, Haven may have them back. Went to Nice myself. Got stung for £125 for a car seat hire for 5 days. Still knocked the wheel rims about sufficiently to compensate. POGO: I'm with you. but i went to Centre parks two years and loved it. But also went to a megabucks Spa and loved it even more. Something to consider, chopping two days of the park hols for the 5* luxury of the Spa? D. Vaughan. Take your word for it. But they have been making some big profits. They are up year on year on year, during the recession, which is quite astounding. Contrast with Blacks who are down on down on down. Went to Italy myself. Only saw Italians and Americans, possibly American-Italians. The thing about the shops in Italy. even the chain stores, is I find that about 70% of the clothes in a high street I would buy. In the UK its about 10%. Just back from Highlands. Camping(Caravans, camper vans tents) sites doing well. Upmarket B+Bs say more tourists from Europe, younger Brits who used to go overseas but fall in silver market who stays less days than before(fixed pension types). AAAM(African Aura) has had a v strong run on positive news (iron ore)so shares will take a breather for a couple of months. I stayed at home, all summer long; I plan to spend winter here too. Rick Stein's the Cornish Arms at Constantine Bay was packed - pretty much every table taken inside and out at 6.30 pm both days we went - and loads of people eating his expensive pub grub. Savonarola: Silver pound falling everywhere. Strong euro allowing the tourists to come here. Hatfield girl. Glad you're about again. No Milano this year? The value of rupee is falling down day by day in America,Not only in America every where.